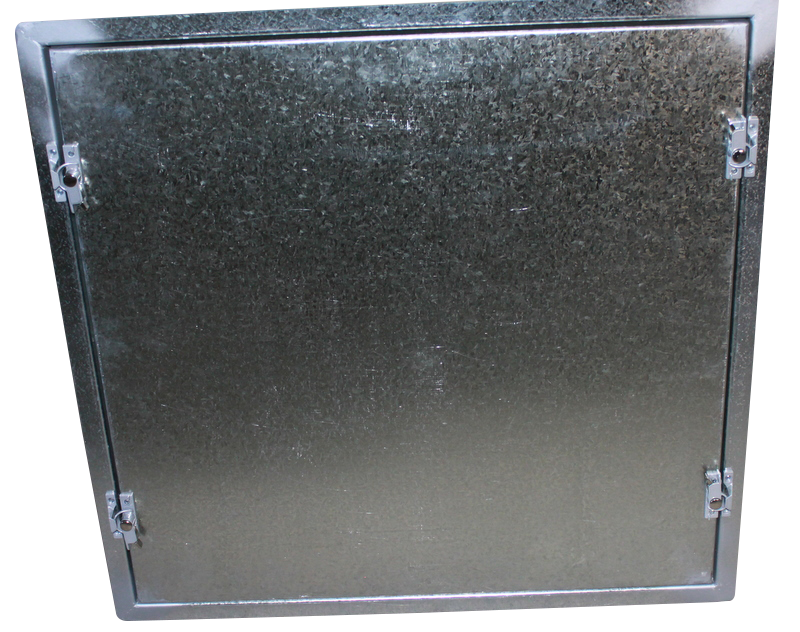 This Access Panel is manufactured to suit your requirements from gal or stainless steel. The panel surround frame is usually manufactured from 2.00 mm thick steel and the removable panel from 1.00 mm thick steel and contains 25 or 50 mm of insulation. Four robust cast sash fasteners (see DH 026) hold the panel closed against a PVC refrigeration type gasket (see AD 016 gasket).